Town Cats Presents: Jackson Galaxy! Town Cats presents Jackson Galaxy! Join us for a fun filled fundraiser for Town Cats. 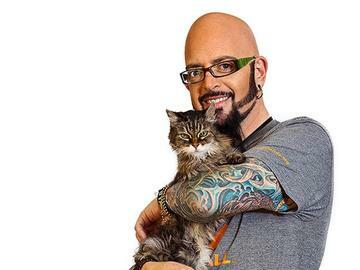 Enjoy an intimate, up close, presentation with famed cat behaviorist Jackson Galaxy! Upgrade to our Deluxe or VIP seating and enjoy a pre-show cocktail and hors devours hour. VIP's get priority seating and an exclusive meet and greet with Jackson Galaxy himself after the show. Proceeds from the show will benefit the cats and kittens of Town Cats. Starbright Theater is unable to answer any questions about the Town Cats event or assist with the customer service issues.